Finished injection molded parts in many sizes! 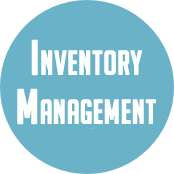 From concept to production to inventory management. Genesis Plastic Technologies is your one stop for your plastic manufacturing needs. Genesis Plastic Technologies, based in Solon, Ohio, is a top plastic injection molding company in our region. Using the most advanced equipment available, we produce custom injection molded plastic parts for companies across all industries. We can produce thousands to millions of parts at a time and provide competitive rates while maintaining an incomparable level of quality. 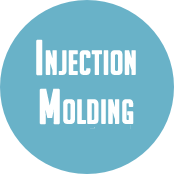 In addition to providing small and large scale plastics injection molding, we offer a complete range of services to help customers bring their products from the concept stage to market. We can assist with materials management, mold design, prototyping, post drilling operations, goods assembly, final inspection services, inventory management and more. We’re proud of the wide range of products our partnerships with small and large manufacturers have produced over the last 10 years and are anxious to learn more about how we can help you bring your product to life. On behalf of our entire team, welcome to our website. Here, you can find more information about our capabilities and services. 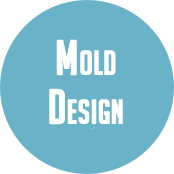 Explore our site and then contact us to learn more about our customized plastic injection molding and plastic manufacturing services. From injection molding, to assembly, to warehousing, to shipping, Genesis Plastics is my choice as a plastics provider. Thank you, Genesis, for your support and the great job you do with Zip n Store! From day one, Genesis has provided us with premium support and communication in launching our line of products. Far more than just their injection molding, we have also appreciated the relationships formed with Genesis. Our companies have been a team, working together towards a common goal. I would give Genesis Plastics the highest possible recommendation to anyone that is having any injection molding done. WHETHER YOU ARE LOOKING AT A ONE TIME PRODUCTION RUN, OR LONG TERM MANAGED INVENTORY, GENESIS PLASTIC TECHNOLOGIES CAN BE YOUR PARTNER AND ENSURE THAT YOUR PARTS ARE AVAILABLE WHEN, AND WHERE YOU NEED THEM.